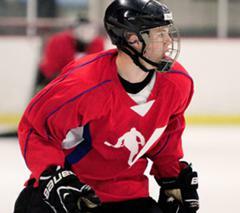 Veritas Hockey is devoted to advancing the hockey careers of players dedicated to fulfilling their potential. We act as advisors for amateur players and agents for professionals. We have a network of contacts in amateur and professional hockey that is second to none, and can relate to our clients exactly what college, junior and professional scouts are saying about them. 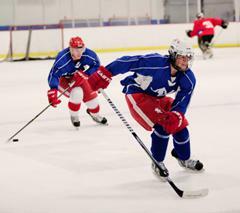 Services for amateur players include advice and counsel regarding career choices in AAA, junior and college programs, development opportunities, and preparing for the NHL Draft. We have a system for identifying the right college programs to target, tailored for the individual player’s talents and needs, and how best to approach the process with those programs. We know the college coaches personally, and their styles and demands. We also help players target schools based on their academic record and interests, as well as culture, location and courses of study. For professional players, Tom Lynn has negotiated hundreds of professional hockey contracts, from both the team and player side, and worked on the massive NHL Collective Bargaining Agreement as an attorney before coming to Minnesota. As a former NHL Assistant General Manager and AHL GM, he has personal relationships with every General Manager and Assistant GM in those Leagues, and knows most of the coaches personally. He has been responsible for player development for an NHL team, has run a pro scouting staff, and been a leader in contract analysis and negotiation in the NHL sphere for over a decade. There is not another agent in the business that can approach the totality of that insight and experience. 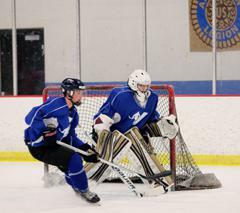 Veritas Hockey is also committed to the development of their players, both on and off the ice. We run development camps, analyze players’ games, and recommend courses of action to prepare for and reach their next level, wherever the player is in the course of his career. We are an intentionally smaller, boutique firm that forges a personal relationship with clients and their families that the large corporate agencies simply cannot provide. We don’t utilize stringers, so you’ll find us at the rink, watching our clients perform and interacting with coaches, scouts, and team personnel. VeritasHockey knows how NHL teams scout, draft, and develop talent, as Tom Lynn did it for nine years in his role running the Hockey Operations for an NHL team and as an AHL General Manager. His experience in the GM’s box and at the draft table allows him to provide clients with unique insight into the world of professional hockey. ©2019 Veritas Hockey / SportsEngine. All Rights Reserved.